It was worth it and was cheaper to buy tickets through the app rather than wait in line and buy them at the attraction. We did the main deck which also includes the sky view one floor down. It was a beautiful view. There is also a place to buy postcards and stamps and mail them out there! Great time. 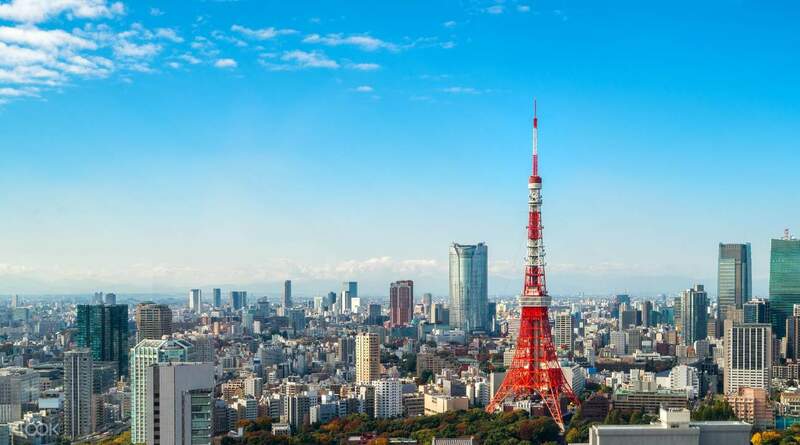 See unmatched 360-degree panoramic views of the bustling, colorful city of Tokyo through the Tokyo Tower Main Observatory. From this height, you'll see the sprawling urban landscape below, from famous buildings to its well-known shopping streets and stops. Parks and monasteries as well as shrines dot this beautiful cityscape, and you will be able to see as far as the Gulf of Tokyo, and even up to Mt. Fuji in the distance. You can enjoy the view as you shop among the many stores on this deck, and even catch a bite at one of the restaurants. 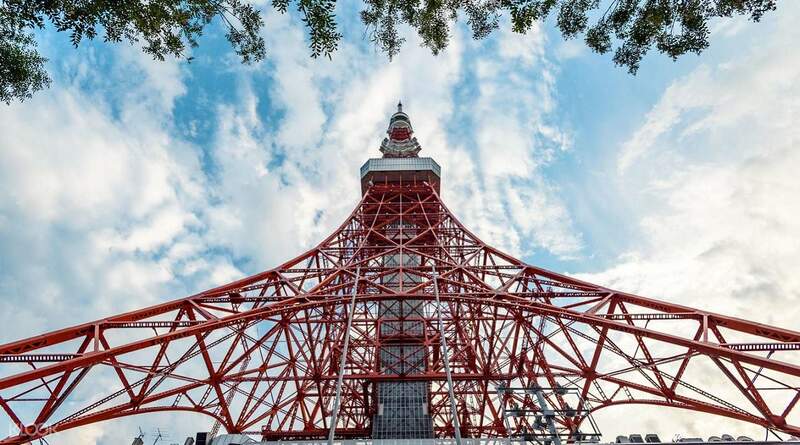 You'll capture beautiful photographs of the city of Tokyo to bring home for your memories. 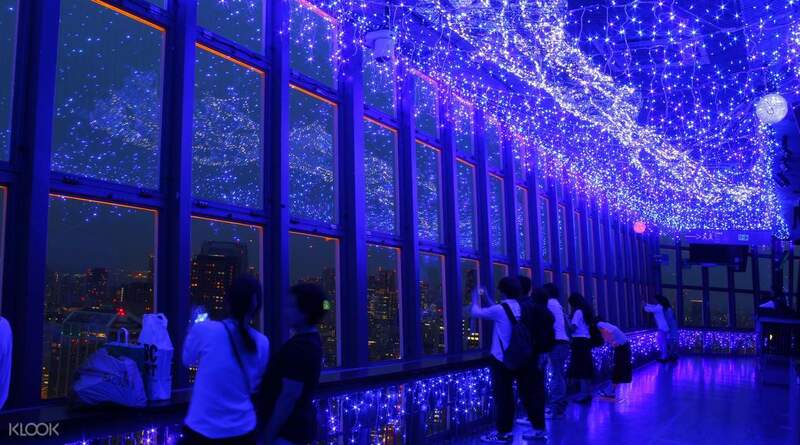 Mount the Tokyo Tower Main Observatory deck which is situated at 150m up! Easiest way to redeem your ticket without any hassle. Just find the ticket booth and show them your booking code or qr code that is attached to the file and you're done. Also price is cheaper rather buying on the spot of course. Easiest way to redeem your ticket without any hassle. Just find the ticket booth and show them your booking code or qr code that is attached to the file and you're done. Also price is cheaper rather buying on the spot of course. Very fast transaction, no need to long queue and the view is amazing. You will have a chance to see the Mt. Fuji. We go there at around 4pm and wait until sunset. The view on sunset is amazing and can see clearly the Mt. Fuji. A must have when you visit tokyo. Very fast transaction, no need to long queue and the view is amazing. You will have a chance to see the Mt. Fuji. We go there at around 4pm and wait until sunset. The view on sunset is amazing and can see clearly the Mt. Fuji. A must have when you visit tokyo. Don't have to line up at the tickets counter outside, straight away walk inside to the information centre, show them the mobile voucher, and they will issue you the physical ticket. It was so easy and quick because there was actually no one else. The view from the 150m deck was definitely amazing. Don't miss it. The admission price is very reasonable. Don't have to line up at the tickets counter outside, straight away walk inside to the information centre, show them the mobile voucher, and they will issue you the physical ticket. It was so easy and quick because there was actually no one else. The view from the 150m deck was definitely amazing. Don't miss it. The admission price is very reasonable. I really like it! It was able to give you a good view of Tokyo even if you didn’t go to the upper deck. Retrieving the voucher was easy. And also there weren’t so many visitors so you can get a good spot. You can stay for as long as you want in the Tower also. No time limit. I really like it! It was able to give you a good view of Tokyo even if you didn’t go to the upper deck. Retrieving the voucher was easy. And also there weren’t so many visitors so you can get a good spot. You can stay for as long as you want in the Tower also. No time limit. Great view from the top of Tokyo Tower. Went on a weekday around 8pm and there was no wait. You have to bring your email voucher confirmation to the travel office inside the tower. Once you get your physical tickets, you take the elevator up to the main deck. There are two floors so make sure you check out both floors before leaving, There are spots under the tower where you could take a selfie with the tower. Wish the glass inside the tower on the main deck was cleaner. Great view from the top of Tokyo Tower. Went on a weekday around 8pm and there was no wait. You have to bring your email voucher confirmation to the travel office inside the tower. Once you get your physical tickets, you take the elevator up to the main deck. There are two floors so make sure you check out both floors before leaving, There are spots under the tower where you could take a selfie with the tower. Wish the glass inside the tower on the main deck was cleaner. I have always passed by the Tokyo Tower but during this trip, I decided to go up with my friend. I wasn't disappointed. The view was spectacular during the night time. The food court had lots of choices and was really good. 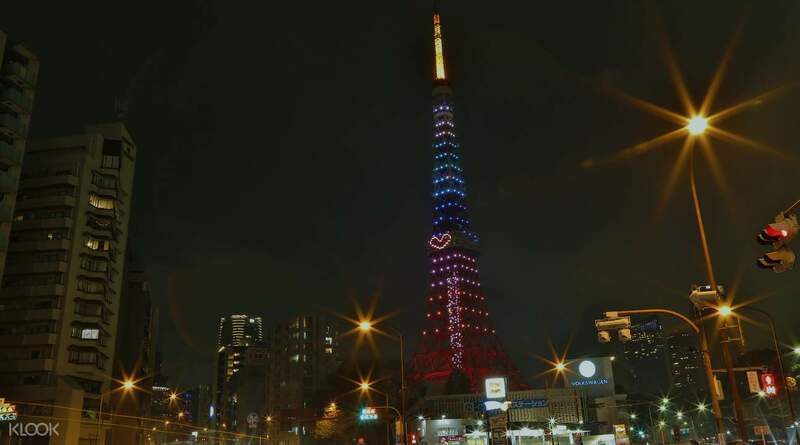 I have always passed by the Tokyo Tower but during this trip, I decided to go up with my friend. I wasn't disappointed. The view was spectacular during the night time. The food court had lots of choices and was really good. We went here on a weekday night and the line for buying tickets is still long. Thanks to Klook because we already skipped the long line. When redeeming your ticket, go directly inside and asked the information where to redeem. They will accompany you to the room in the left. Then, you will proceed on the Main Observatory (150m). We stayed here for 30 mins and enjoyed the view. 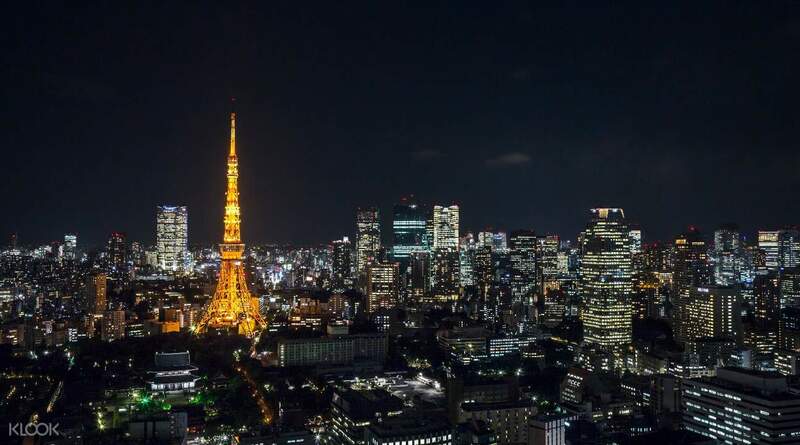 We recommend going at night so you will see the Tokyo lights. We went here on a weekday night and the line for buying tickets is still long. Thanks to Klook because we already skipped the long line. When redeeming your ticket, go directly inside and asked the information where to redeem. They will accompany you to the room in the left. Then, you will proceed on the Main Observatory (150m). We stayed here for 30 mins and enjoyed the view. We recommend going at night so you will see the Tokyo lights. 360 view of the place was superb! Really thanked that I got this activity booked. Tokyo at night was so beautiful! I love how the staff were so accomodating. Good buys at the 2F and the famous tokyo banana, must try! Try the Love photo background, and the Glass mirror Walkway. It was all worth it! 360 view of the place was superb! Really thanked that I got this activity booked. Tokyo at night was so beautiful! I love how the staff were so accomodating. Good buys at the 2F and the famous tokyo banana, must try! Try the Love photo background, and the Glass mirror Walkway. It was all worth it!